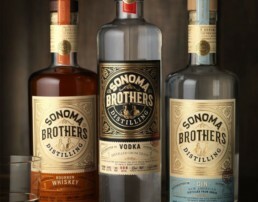 Owned and operated by twin brothers Chris and Brandon Matthies, Sonoma Brothers Distilling produces fine quality handcrafted spirits. Each one of their spirits is artisanally crafted from grain to glass and distilled in small 200 liter batches with their handmade Arnold Holstein copper pot still. The brothers easily settled on Windsor for their distillery as Windsor is home to both of them and their families. 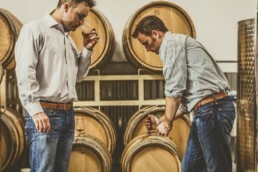 The brothers were born and raised in Sonoma County and in addition to being in business together with the distillery, they serve the Town as a firefighter (Chris) and police officer (Brandon ). 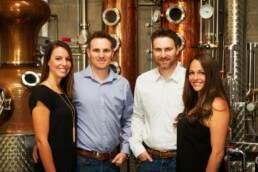 The Mathies twins are dedicated to the Sonoma County community in which they were raised and are now taking that dedication to their handcrafted spirits artisanally crafted in small batches from grain to glass.